This rivalry has led to political maneuverings and a breakdown of trust that has been detrimental to the unity of purpose of the government, and escalated the mistrust between the two leaders which was akin to poison to the body politic. In the current circumstances, in which the power balance has tilted towards the Prime Minister, it would therefore be advantageous if the thorny issue of the next period of presidency is decided by the two coalition partners without further delay. For instance, the failure of the government to honour its election time pledge that it would take legal action against the members of the former government has been attributed to a divide and rule strategy employed by the UNP component of the government to keep the SLFP divided, and thereby the President himself in check. President Sirisena’s campaign to get rid of Prime Wickremesinghe and replace him with someone of his own choice can be seen in this negative frame of contestation. In the immediate aftermath of the local government elections, at which both ruling parties performed poorly, the President made his bid to sack the Prime Minister. The unfortunate lack of political foresight in this move was evidenced by the fact that the President neither had the constitutional authority to sack the Prime Minister, nor did he have the numbers in the government or in the cabinet to overthrow him. The lack of political foresight was further displayed when the President appeared to be initially supportive of the motion of no confidence against the Prime Minister that was presented to Parliament by the opposition led by his mortal foe, former President Mahinda Rajapaksa. It is to be hoped that the new balance of power that has emerged will enable a viable solution to be worked out. Immediately prior to the no confidence motion, President Maithripala Sirisena had taken several other overtly offensive actions against the Prime Minister that led to the undermining of the government. There even seemed to be an element of enmity in their relationship and when they attended public events together they seemed to find it unbearable to even look at each other. In the run up to the no confidence motion, with just three days to it, President Sirisena seemed to openly enter the fray when he virtually stripped Prime Minister of some powers he enjoyed. However, the manifestations of discord between the President and Prime Minister had commenced even earlier. One watershed event was the Prime Minister’s re-appointment of the governor of the Central Bank, Arjuna Mahendran, who had come under a cloud and was being accused of a bond scam that amounted to billions of rupees. In standing by his friend, and choice of governor, the Prime Minister defied public opinion and good sense to the cost of his own reputation and that of the government. 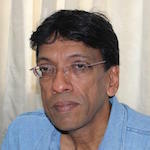 President Sirisena rode the crest of the public opposition to this controversial action of the Prime Minister by refusing to reappoint the governor. He took on the mantle of anti-corruption that had hitherto been shared with the Prime Minister. The popular backing for the President’s actions in regard to the Central Bank bond scam, which included appointing a special Presidential Commission of Inquiry regarding it, gave the President a sense of his moral authority even though it was akin to a dagger aimed at the heart of the government he headed together with the Prime Minister. Ironically, the failure of the no confidence motion against the Prime Minister has had the effect of strengthening the Prime Minister vis a vis the President and the opposition forces that moved the motion in Parliament. The Prime Minister’s party came together to support him whereas the President’s party has got further divided with some of them voting in favour of the no confidence motion and leaving the government whilst the majority of them abstained and are remaining with the government. In addition, the ethnic minority parties stood in support of the Prime Minister, who can be trusted to be non-racist in his attitude, with none of their parliamentarians voting in support of the no confidence motion. Therefore in the power struggle between the President and Prime Minister it is the latter who has emerged stronger. The new balance of power is reflected in the prorogation of Parliament for a month. The prorogation is the period between the end of a Parliament session and the opening of the next Parliament session. The government has stated that this will not have an effect on parliamentary business. Sudarshana Gunawardana, Director General of the Government Information Department said that under Article 70(4) of the Constitution “All matters which, having being brought before Parliament, have not been disposed of at the prorogation of Parliament, may be proceeded with during the next session.” Therefore, he said that the prorogation of Parliament has no negative impact on the functioning and operation of the government. However, the significance of the prorogation of parliament lies elsewhere. President Sirisena’s prorogation of parliament until next month came amidst a crisis facing the SLFP he leads, with 16 dissenting members, including six cabinet ministers, saying they would leave the government which would further weaken the position of the President within the government. There has been speculation that they might even cross over to the former President’s camp. The suspension of parliament will give more time to the President to attempt to prevent the further disintegration of his party. In addition, prorogation of parliament means that all parliamentary committees will need to be reconstituted. In a context in which the UNP led by the Prime Minister has emerged stronger, the prorogation is clearly to the UNP’s advantage when it comes to deciding on the leadership of those parliamentary committees. The parliamentary battleground is therefore set for constitutional reforms that could sustain the government into the post-2020 period. The tussle over who should be the presidential candidate on the government side could be resolved by reforming the presidency to be one that is elected by parliament and with reduced powers as a transitional provision in the constitutional reform process. It is best that this new arrangement is negotiated and settled sooner rather than later. If the all important relationship between the President and Prime Minister is to be improved, and sustained, there should no room for rivalry and mistrust about the future between them. Ideally the dissenting 16 members of the SLFP should be part of the process of inter-governmental reconciliation. Together they need to take forward the Government of National Unity, and prove to a sceptical public, that this is the best thing that has happened to the country despite its many problems. Why do we need two Heads of Government? In this case Two Heads are not better than One! USA does not have a Prime Minister, only a President! Australia does not have a President, only a Prime Minister! Singapore has only got One Head of Government! The Post of President of Sri Lanka has to be Abolished! Jehan Perera, Sira and Ranil need to reach consensus to put US citizen and war criminal Gota behind bars. But the US embassy in Colombo which is promoting Fake reconciliation has made Bondscam Ranil promise that he will protect Gota who is the CIA’s Manchurian Candidate for President. There is Fake Reconciliation between UNP and SLFP and the culture of political corruption is flourishing at the behest of US whose game against China in Lanka is “Heads I win, Tails, you loose”. Bondscam Ranil is a US puppet and Gota a citizen! All bases are covered in case of UNP or SLFP victory! Either way people of Lanka are screwed while Bondscam Ranil who scammed Central Bank with help of advisers from Washington, dances to the tunes of the US govt. and its great game in Indian Ocean. Open you eyes and see that Gota the war criminal is protected by your patron America which is promoting bi-partisan UNP-SLFP corruption in order to win against China in Lanka. Both have one thing in common, they are destroying their parties. President & Prime Minister will reach an agreement alright! Lalinda Perera: “…..they are destroying their parties.” Who cares? We care because THEY (all present day politicians included) are DESTROYING the COUNTRY. Don’t you see and care about that? I don’t understand why these “INTELLECTUALS” want “THEY” to agree. Agree on WHAT? Is it to make a FINISH with what remains? So Sira has no chance to get the Gig back..That is sad.. He betrayed the Nation to the to the West and let Dr Ranil stuff up the country for nothing..
Can Dr Ranil and his cohorts appoint the next President in Parliament?. Can Dr Ranil change the Constitution to that effect ,even if he appoints all the Committee Heads by himself? Will Dr Ranil bring his ex Royal mate back from Singapore to face the music, now that he has total control?. What about the 50 Lakhs of our long suffering inhabitants?. I guess Dr Jehan is not interested in them …. KASUMANSEKARA: I heard that India had warned there was an attmept, during JAnuary to bring legislation to legalize Equal status to all the religions. I assume Orumiththa nadu was in the cards too. Bringing NCM may be one such spoiling attmept. Ranil had said, that is true. but, I won’t do it. who knows. Whats wrong with removing chapter II from the constitution? Buddhists are not bothered, why do you care? Are you implying the rest of the inhabitants, 160 lakhs of them are doing very well? It seems not everything is doom and gloom under UNP/SLFP. Jehan Perera: In sinhale, there is a saying “you sleep with the dogs and wake with Felas”. President already doe snot have any reputation as a respectable politician. Because he is sourrounded both from SLFP and UNP thieves. So, you say sleep with gang of thieves of Ranil get more fleas on your body. Typica Western strategy. As long as our goals are achieved, whether it is killers, white collar thieves, drug peddlers, weapon smugglers, terrorists, money launders all are OK.
Not felas, it is Fleas. PM and his gang of theives including the Foot note gang won among the 225 thieves. Among ignorent people he lost big time. We hear, that MPs were bought. Probably it is the Grant got by Mangala samaraweera. That’s not what the people want. People want a presidential election and a parliamentary election now. Yahapalanaya couldn’t reconcile within itself for three years SLFP-UNP stand separated. . SLFP couldn’t reconcile itself , Joint Comedy Faction & New King Faction. New King faction now split into Opposition side bench sitters- Ruling side Bench sitters. Joint Comedy is split into Slap Party-JO party. UNP is now two within it: PM supporters, PM opponents. The real comedy is it is with this Yahapalanaya Sampanthar and Sumanthiran are doing their reconciliation. Tamils are really, really poor to hear this!